Positive Train Control (PTC) could have prevented the Metro-North derailment that killed 4 people in the Bronx in December 2013 as well as several other fatal train accidents that occurred in recent years. In 2008 after 25 people were killed in a crash between a commuter train and a freight train, the U.S. Rail Safety Improvement Act of 2008 was passed requiring that all railroads have PTC in place and employees trained to use it by December 31st 2018. 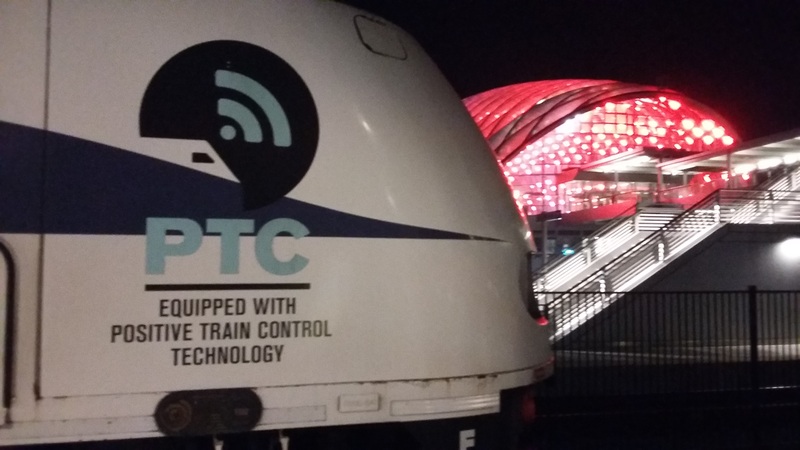 PTC requires that radio transponders be installed on tracks and on trains. The transponders communicate to each others and automatically slow down a train if it is going to fast or stop it if it is about to hit another train. According to a recent federal report, two-thirds of the commuter railroads in the US might miss the deadline. The Metro-North and the Long Island Rail Road are among them. 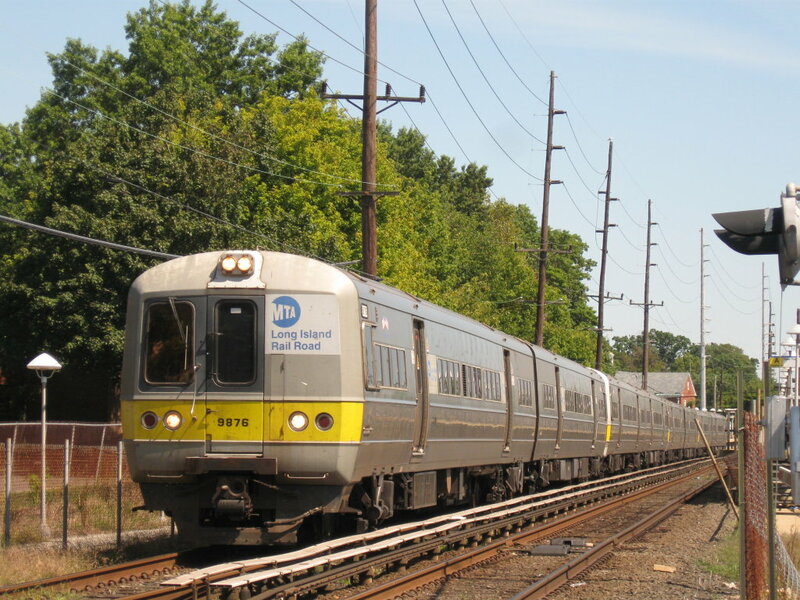 Therefore to avoid a fine, the Metropolitan Transportation Authority (MTA) is considering submitting a letter to The Federal Railroad Administration (FRA)asking the agency to lower its standards while deciding if the progress made by the LIRR and the Metro-North in installing PTC meet federal requirements. 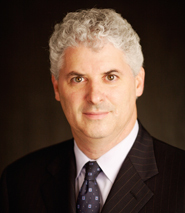 The letter proposal follows the recent introduction by the FRA to allow railroads to propose their own criteria for becoming compliant. The proposal also comes after the MTA acknowledged that the PTC system installed so far failed in several test simulations. This morning a train derailed in New York City causing morning commute delays. This accident occurred early this morning at Penn Station as thousands were on their way to work. Thankfully nobody was injured as there were no passengers on the train. The conductor and the motorman were the only ones on board. They didn’t sustain any injury. 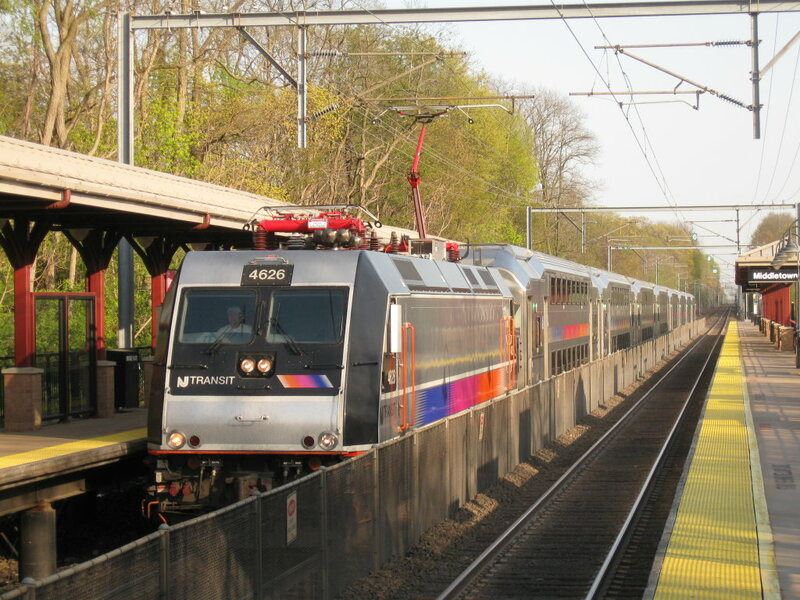 The train was a New Jersey Transit Train. It had just pulled up from the Yard when the accident occurred. The train cars blocked several tracks before being lifted back to their track causing delays. Since the month of May 4 trains derailed in Penn Station. 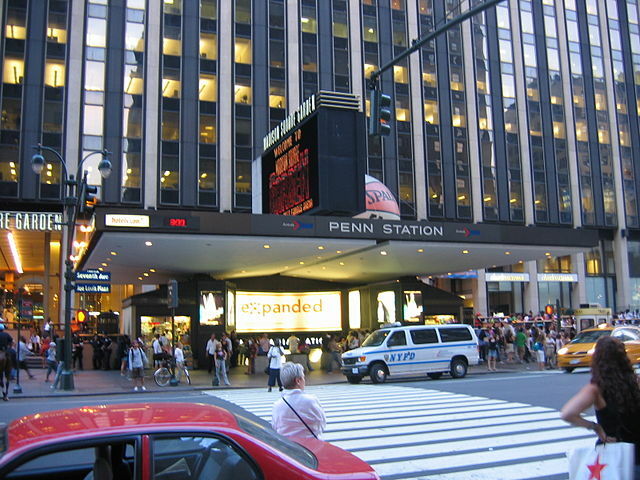 Penn Station is considered the busiest train hub in America. This summer the tracks are undergoing a massive 8 week project to replace aging tracks and signals. Commuters nicknamed the project “summer of hell” but most of them are tolerated as long as the project continues. 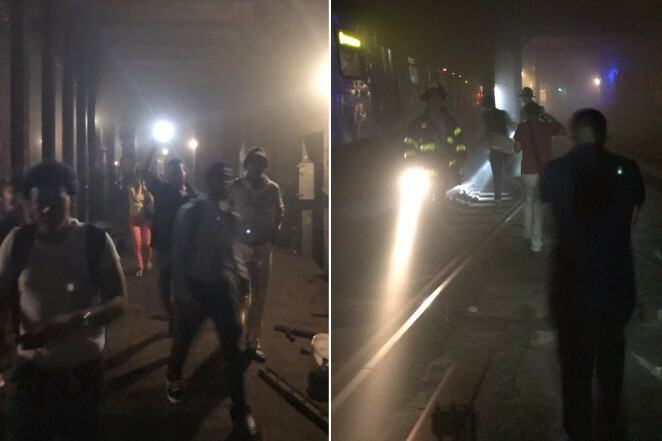 This morning there was also a small fire in a train tunnel between Queens and Grand Central Station that forced commuters to find alternate ways to get to work. 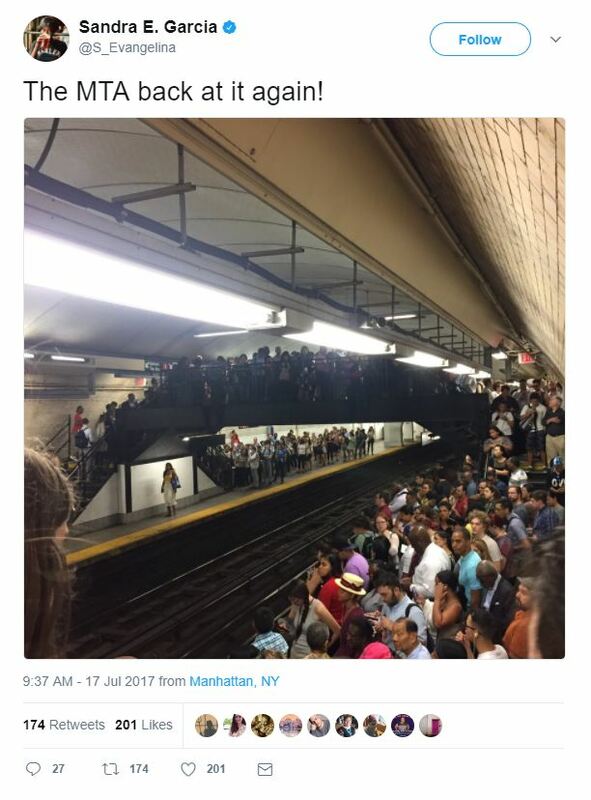 A subway derailed in New York yesterday. According to the FDNY at least 34 people were injured in the accident. 17 of them were transported to the hospital to be treated for minor injuries. A baby and her asthmatic mother as well as other passengers suffered from smoke inhalation. The derailment occurred on the A train between 125th and 135th street shortly before 10:00 am. The train careened off the tracks and scraped the sides of the tunnel wall. In one of the cars a door was ripped open. 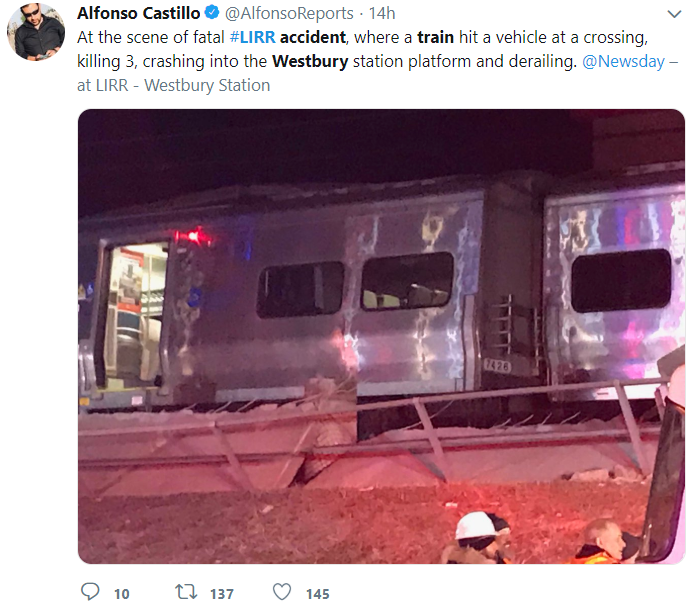 The track division chairman for the Transport Workers Union, Paul Navarro, said the train “was peeled open like a can opener” According to passengers, the train started to shake violently and the lights started to flicker before the whole train was plunged into darkness and smoke. Passengers started to panic. Some used their shirts as a mask to protect themselves from inhaling the heavy smoke. They remained in darkness and in the smoke for at least 10 minutes until the conductor spoke over the intercom to announce that the train had derailed and that emergency responders were coming through the cars. Some straphangers were evacuated trough the tunnel and others through the train onto the 125th street platform. According to preliminary investigation by the MTA, the subway derailment was caused by human error. A loose piece of rail was left on the tracks the night before by workers who were doing repair on the A line.